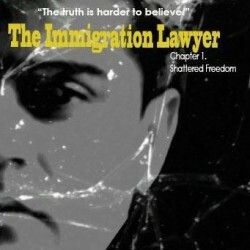 The Immigration Lawyer: Asylum (Volume 1) is a young adult legal thriller written by Shah Peerally. Sarah Mustafagic is a young, successful corporate lawyer who decides that she wants to represent people who have immigration and naturalization issues. Her friend, Shah, is an immigration attorney, and he invites her to join his firm. Sarah's first client is Ahmad, a chemical engineer from Iraq who came to the U.S. to visit his family. He is detained at customs and imprisoned in a maximum security facility while U.S. officials determine if he is a threat. Sarah visits him in prison, which is a new and terrifying experience for her. She arranges for Shah to be released from prison and be put into the ankle bracelet program, which places him under house arrest pending the resolution of his case. Sarah learns of Ahmad's past experiences with the brutal government in Iraq and is determined to help him avoid an unjust detainment or a return to his home country.